Enable is likely to make her eagerly-anticipated seasonal debut in either the Tattersalls Gold Cup or the Investec Coronation Cup. John Gosden's filly enjoyed a spectacular three-year-old campaign in 2017, completing the English-Irish Oaks double before going on to beat her elders in the King George, the Yorkshire Oaks and the Prix de l'Arc de Triomphe. Connections have sportingly kept her in training for another year and she is set to return either at the Curragh on May 27 or at Epsom five days later. 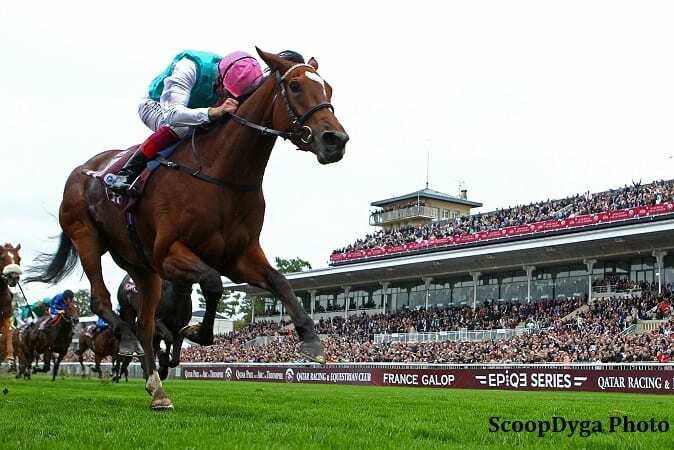 Teddy Grimthorpe, racing manager for owner Khalid Abdullah, said: “Enable is in very good form. She got put back a little bit by the cold weather in Newmarket, like most fillies she would prefer it warmer than colder. She is coming on well and is happy and cantering. “She has not been asked to do anything spectacular yet, but everyone seems pleased with her. Grimthorpe confirmed an Arc defence was top of Enable's agenda – but connections are also keen to aim for the Juddmonte International at York in August. “Really and truly the main aim is the Arc, probably preceded by the Juddmonte and the King George,” Grimthorpe continued. Grimthorpe believes there is every chance Enable will clash with esteemed stablemate Cracksman this season, adding: ” I don't think Anthony Oppenheimer (Cracksman's owner) would have any qualms taking us on and we certainly wouldn't have any taking on him. “I think it is important for the top horses to be taking each other on for the top prizes. This entry was posted in NL List, Racing and tagged arc de triomphe, cracksman, enable, english oaks, investec coronation cup, irish oaks, john gosden, juddmonte international, Khalid Abdullah, king george, prix de l'arc de triomphe, Tattersalls Gold Cup, tedd grimthorpe, yorkshire oaks by British Horseracing Authority. Bookmark the permalink.